Thanks to my good friend Tessa of Homestead Lady, I have a really great giveaway prize for my Ebelskiver loving fans. This giveaway includes a cast iron Ebelskiver pan, an Ebelskiver cookbook, and even a recipe folder. That is an awesome prize package if I do say so myself. This is a quick turn-around giveaway that ends Thursday, so be sure to enter right away and tell your friends so if they win, they can share with you. Sorry, the giveaway has ended, but I’m sure you’re going to love these recipes. The word itself is Danish for apple slices, but the meaning is a dessert or snack similar to a pancake, but with a flakier texture and round shape. They are sometimes marketed in the US as pancake puffs. 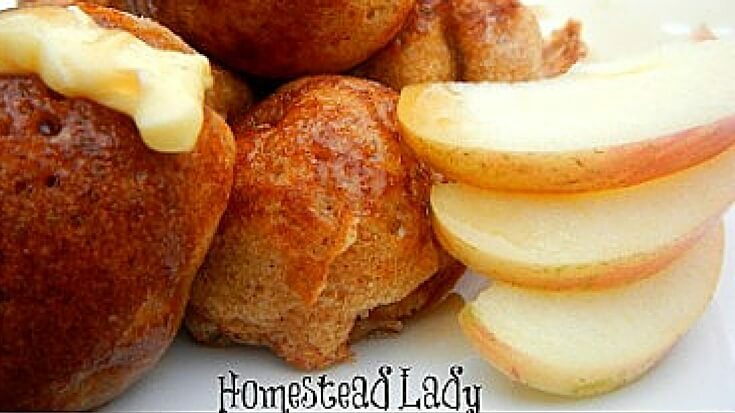 They are traditionally prepared with bits of apples or applesauce inside, but you can fill them with almost anything your heart desires. The catch? You need the fancy pan, so there’s another reason to enter to win. If you don’t want to wait for the giveaway to wrap up, or you just aren’t feeling lucky, you can find them on Amazon for as low as $13 for a decent one. Our hostess, Tessa of Homestead Lady, is the one who turned me on to the idea of Ebelskivers (though I have yet to make a batch myself). I read through her recipe for Sourdough Dutch Pancakes and was practically drooling. As you know, I’m a sucker for sourdough anything, so these just seemed divine. I mean look at that picture! Tessa talks you through the process of getting started with these round pancakes, so I know you’ll be in good hands. Serious Eats offers a recipe for these Danish pancakes that have a light, airy batter, and a sweet-tart Lingonberry jam filling. My Frugal Adventures has a recipe for super easy chocolate stuffed Ebelskivers. They recommend pairing them with some fresh berries. 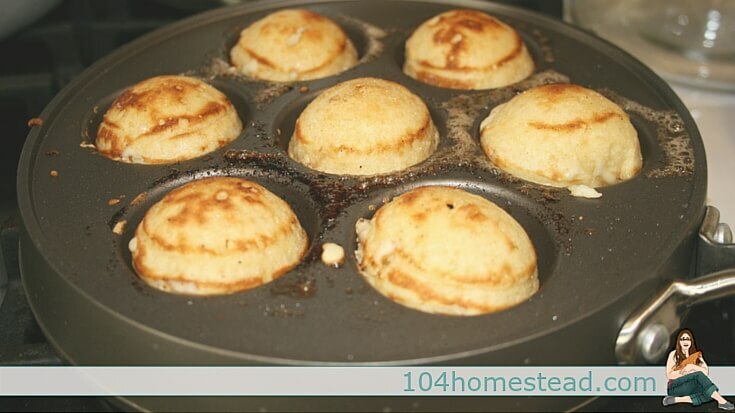 Recreating Happiness gives you a gluten-free option for making Ebelskivers that is as yummy as the rest. The Not-so-Modern Housewife has a simple Ebelskiver recipe with topping suggestions that are mouthwatering. Would you prefer savory instead of sweet? The Messy Baker offers a delicious lox and cream cheese version. Jessica, lovely post. I hope you’ve now made these! I remember thinking when I first had them (with berry jam) that I better not buy a pan or I’d be eating them all the time! Cant stop giggling? its so funny to read about æbleskiver when you grew up with them (im from Denmark). In Denmark we only eat Them around Christmas time. In the old days they Where derved with a thin slice of Apple inside, but now not Many people does that anymore. They are Usually served piping hot with a scoop of jam and some icing sugar On the side. To this we normally serve gløgg, a spicy warm red Wine mixture with raisins and chopped almondes in. I have never heard of ebelskiver before, but I have now. Will have to try them. I never heard of this pan before- but I would definitely love to try it!!! I love ebelskkiver, I’ve had them a couple times, mostly from farmer’s markets and food fairs. They are the best with Nutella! !!! 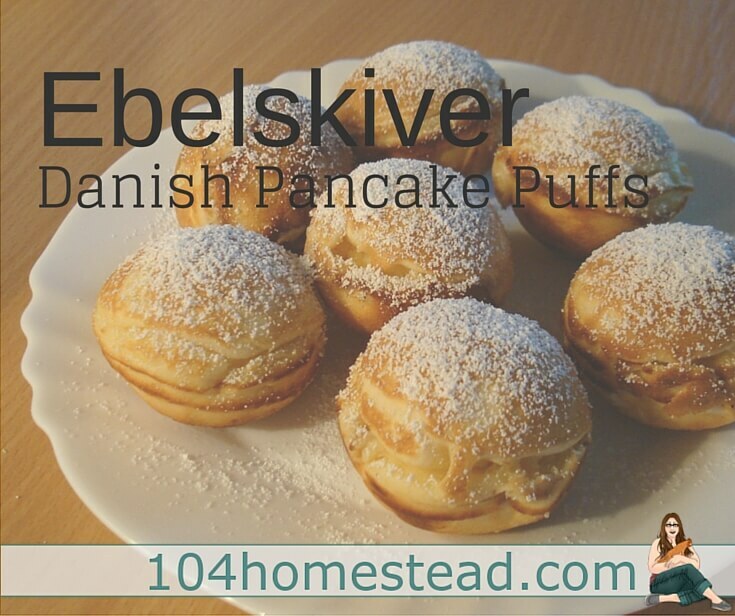 I have heard of Ebelskiver before. It has been forever and a day since I have any though. Yummy! I have never heard of them at all.They look good. Thank you for the chance. 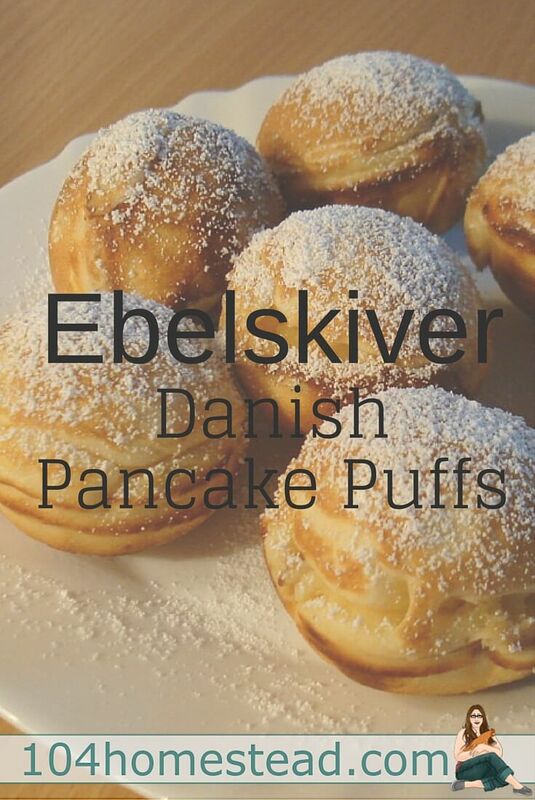 Had something similar when I lived in Germany, but it must have a different name in German because Ebelskiver doesn’t sound familiar. Would so love to win this!! I have never heard of Ebelskivers. But I have eaten the puffs and they were delicious. It has been years since I had any. Would love to win this. I have heard of them, mostly from Pinterest. I even have a pan on my amazon wishlist. They sounds sooooo yummy! Oh… this would be an awesome prize to win.! You are absolutely correct. I am so insanely sleep deprived. I made the changes to the post. Hopefully the social media world will forgive me. Thank you for the heads up!